Upscale your living room furniture setting by bringing this modernly designed accent chair in a black and gold finish. It is has wood constructed frame over which flannelette fabric is draped and also has metal hairpin slanted feet. It features a beautiful seashell tufting design with sloped back and arm profile. It also has welting trim accent. 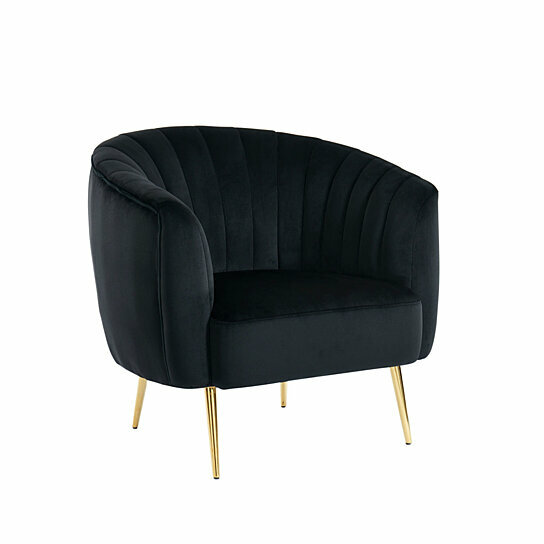 A perfect contrast combination of delicate gold finished legs with black color upholstery plush seat will offer a charming addition to any room.